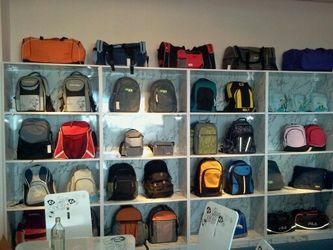 Xiamen Coup trade Co., Ltd is a professional OEM manufacturer of bags, including backpack bags,laptop bgs,shopping bags,school bags,cosmetic bags,lady handbags,cooler bags,travel bags and etc. 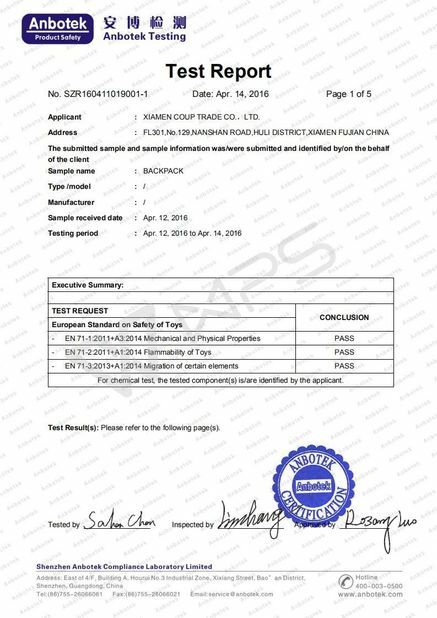 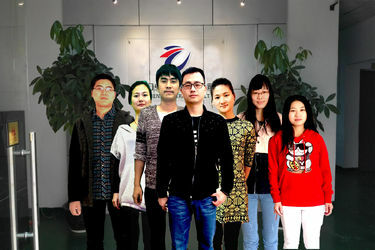 Xiamen Coup Trade CO.,LTD. 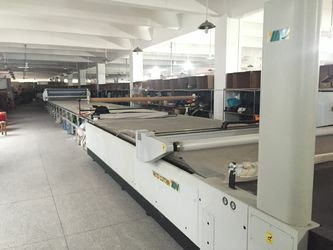 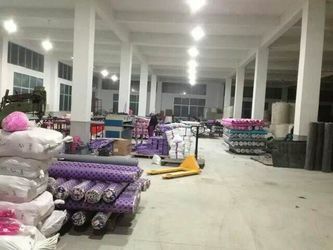 is a trading company and manufacturer, it was built in 2011 but has more than 10 years professional manufacturing experience. 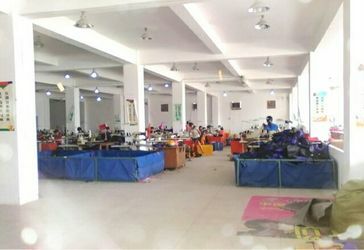 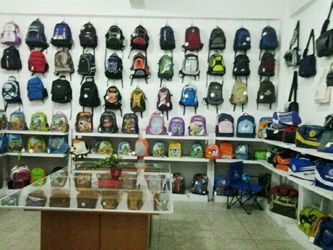 Its factory is located in Zhangzhou with over 1000㎡ workshop,main products are backpack,laptop bags,shopping bags,school bags,cosmetic bags,lady handbags,cooler bags,travel bags and etc,also we can make the products with your own design.any ideas don't hesitate to contact us. 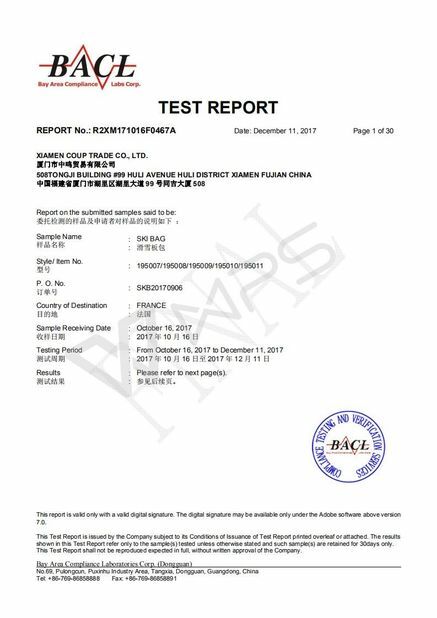 ---Sample for your test. 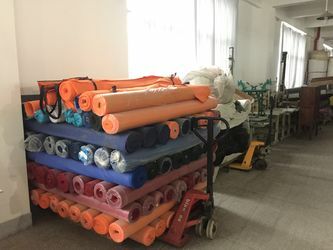 Samples making for 7-15 days,Pls send us your specifications and we will make an artwork or a sample for your confirmation, the first sample will have sample fee,but will refund to clients after order is placed. 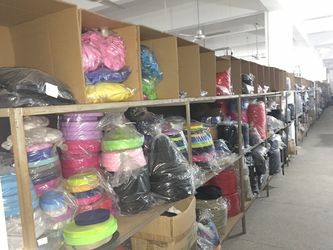 Send us your specifications and we will make an artwork or a sample for your confirmation, the first sample will have sample fee,but will refund to clients after order is placed.